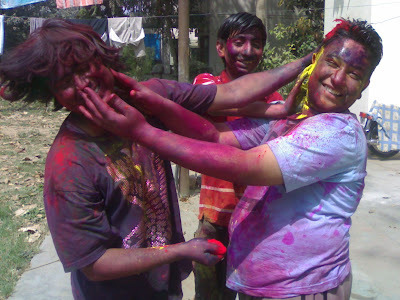 Boys enjoying the festivities of Holi. 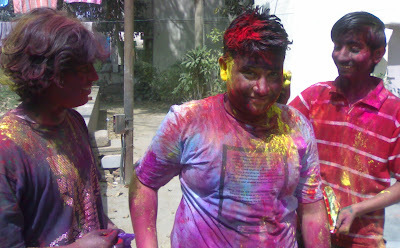 A colorful festival that welcomes spring in India. Though far away, I send my best. I love this image. There is many diversion, happiness and color. Thank you.